The book is novel because it contains exactly what you think but in an unexpected way. It contains stories about guitars but there are nuggets of life, Love, loss tragedy, recovery and, overwhelmingly, hope. I found myself more than once sitting and smiling a little after reading one of the stories. The artists sharing their stories have varying degrees of notoriety. Instead of a book full of Jack Whites or Eric Claptons, you get true stories from people that are hard working professionals, artists who have a fantastic appreciation for the music they’re playing or writing. 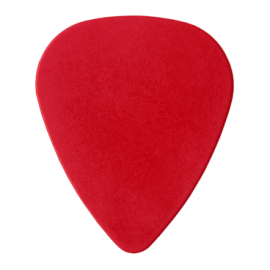 There are some artists in the book who openly admit that they aren’t very good guitar players but have had long and fruitful careers playing guitar. On the beach or on a bench, the Texas heat is best perhaps beat with a cool read. With this in mind, we asked some of San Antonio’s most prominent literary figures what they will be reading this summer. Wings Press publisher Bryce Milligan is currently reading J.R.R. Tolkien’s Beren and Luthien. According to Milligan, who has reviewed almost every post-Silmarilion Tolkien book released, the story of the first-ever elf and mortal connection “essentially set Tolkien’s imagination in motion, which gave rise to his world-building, language-crafting, and tale telling.” Milligan, a musician as well as all around man-of-letters, will be reading three Texas music books this summer: Pickers & Poets: The Ruthlessly Poetic Singer-Songwriters of Texas by Craig Clifford and Craig Hillis; Without Getting Killed or Caught: The Life and Music of Guy Clark by Tamara Saviano, and A Perfectly Good Guitar: Musicians on Their Favorite Instruments by Chuck Holley. With an eye toward writing a children’s books based on the playful side of Emily Dickinson, Milligan is rereading her works as well as some Dickinson-related material. Read the rest of the review the review on the San Antonio Current website. Read the rest of the review the review on the Long Island Weekly website. Some of the most amazing things in this book are tales of so many guitars being stolen and recovered, or an unfortunate accident with a very happy ending, such as the one run over by a car and repaired, ending up sounding better than before. Sonny Landreth tell the story of a beloved Strat stolen by an unscrupulous club owner, and its miraculous return at the same club nine years later. Photographer and writer Holley asked guitarists around the United States about their favorite instruments and assembled a fine collection of their stories along with photographs of the musicians and the cherished tools that inspired them. 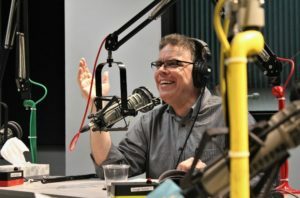 Surprisingly, the artists are not all household names, although many are well known, such as Bill Frisell, Dave Alvin, and Rosanne Cash. Others include professional recording artists, performers, and even a few with day jobs. The unifying thread is a deep appreciation for music and an indelible bond with a special guitar. Some have a chronicled history, such as Jack Lawrence’s 1945 Martin D-18, which was played by bluegrass star Doc Watson on many iconic recordings, while others are filled with personal connections, such as Cindy Cashdollar’s handcrafted lap steel “The Phoenix.” The photographs are rife with compelling details such as the tactile grip of a knurled Telecaster knob or the wizened fretboard of an old Gibson flattop, and throughout the accounts and images pulse with affection and the love of music. VERDICT This warm trove of portraits of players and their guitars is recommended for music fans and strummers alike. One Missouri photographer has spent years collecting stories and making images of musicians and their most prized possession; their guitars. Today, Chuck Holley shares some of his favorites. Then, we visit with Nobel Prize-winning economist Robert Shiller about the possibility of an upcoming bubble. Shiller says many harbingers of recessions in the past are present, but something important is missing. Ask any guitar player about their instrument and you’re likely to get a story. And that’s what photographer Chuck Holley just did. 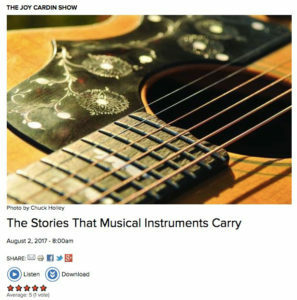 Hear the interview on Wisconsin Public Radio’s wesbsite archive, The Stories That Musical Instruments Carry. Inspired by a conversation he had with a local musician about his worn guitar, photographer Chuck Holley set off on an eight-year search, “looking for professional guitarists who would be willing to recall how they acquired that one special instrument and why it grew in importance to them.” His lavishly illustrated A Perfectly Good Guitar: Musicians on Their Favorite Instruments (University of Texas Press) collects the stories of 46 guitarists, including Marty Stuart, Cindy Cashdollar, Carolyn Wonderland, Kelly Willis, John Leventhal, Bill Frisell, Eliza Gilkyson, Guy Clark, and Tommy Emmanuel, among others, as they talk about their favorite guitars. Read the rest of the review in No Depression‘s, Searching for a Perfectly Good Guitar.